the size is perfect and I love the leather strap band!!!!! This beautiful August Steiner watch features a sunray dial and hand-applied markers. 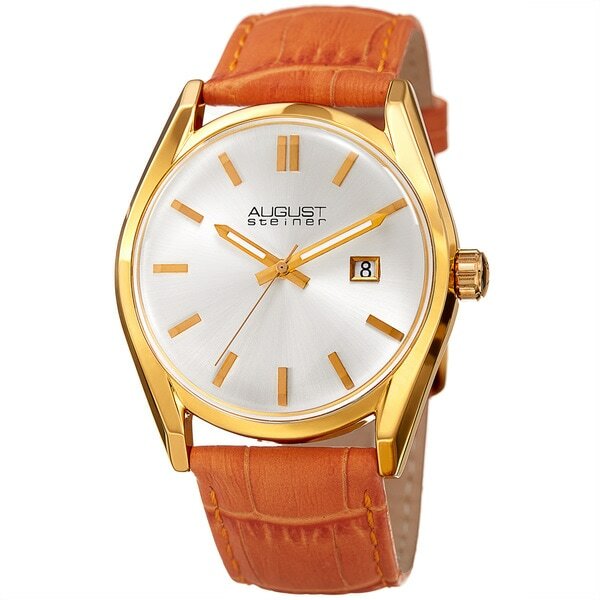 It is powered by a precision quartz movement, which tracks the hour, minutes, and seconds with a quick set date window. It is completed with an embossed leather strap.